AllThingsD's Ina Fried caught up with Apple's Phil Schiller after the introduction of the iPhone 5 this afternoon. She asked him about a number of new technologies that did -- and didn't -- make it into the company's new flagship phone. It’s not clear that NFC is the solution to any current problem, Schiller said. "Passbook does the kinds of things customers need today." Fried also spoke to Schiller about the new Lightning connector. He noted that it wasn't possible to make devices any thinner with the existing 30-pin Dock Connector, though the company doesn't take changing the plug -- which had been around for 9 years -- lightly. "This is the new connector for many years to come," Schiller explained. "This is the new connector for many years to come," Schiller explained. So, why not USB 3? So are we stuck with usb 2.0 for another 9 years? I am highly confident that Apple could update it to usb 3/thunderbold without changing the "lighting" connector. Plus I also forsee people using the cable to sync to a computer less and less over the next 9 years. I personally haven't plugged my iPhone into my Mac since iOS 5 hit nearly a year ago. I'm not. Apple is very comfortable in their proprietary ecosystem. USB 3 only carries digital data and power. It doesn't offer things like simple iPod signalling, analog audio and video signals (for relatively simple connection to other A/V devices). In future iOS devices, USB 3 could be implemented for the data portion of the interface, but a connector with more pins is needed for the additional functionality. Note that various docks and cable adapters from the old 30-pin connector have offered line-out audio, composite video, S-Video, component video, HDMI, etc. 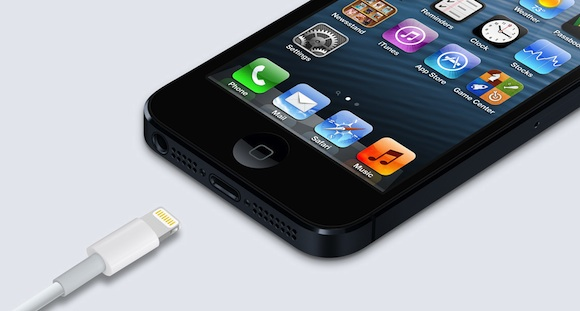 I wouldn't be surprised if there isn't a USB 3 compatible iPhone 5 prototype sitting in a lab somewhere in Cupertino. My guess is that current USB 3 chip solutions for mobile devices were evaluated and rejected as relatively power hungry (plus only a few computers actually have USB 3 interfaces) but as the standard becomes more prevalent and more power-thrifty chips are available, that this technology will eventually make it into an iOS device. I'm sure Apple will gladly sell you a USB 3 Lightning cable next year for $29. I think Phil has good points, but he also doesn't point out how these additions would hurt. It's not as if wireless charging gets rid of regular cable charging, for example. If it adds no appreciable value then including it only adds cost and complexity. I'm glad they didn't bother with it. It's gimmicky. What is the hard-on about inductive charging? Am I the only person who uses my device while it's charging? If the phone needs to be placed on some sort of mat or pedestal it will only make it less easy to use while charging, unless you're going to keep picking it up and putting it back down. Now if we can get wireless over the air charging some how then count me in.